There was a palpable sense of relief around the U.S. national team following last month's scoreless tie in Port of Spain, Trinidad, in the Americans' second World Cup qualifier of the 2018 cycle. 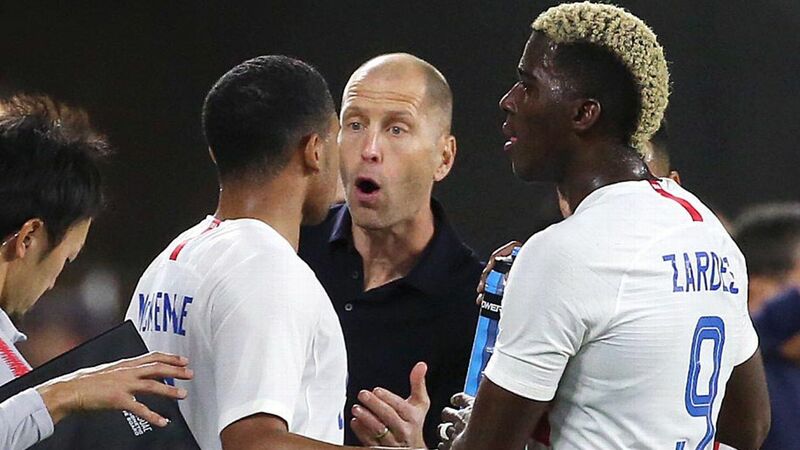 Most of this was down to the valuable point that the sputtering U.S. squad had just managed to secure on the road. 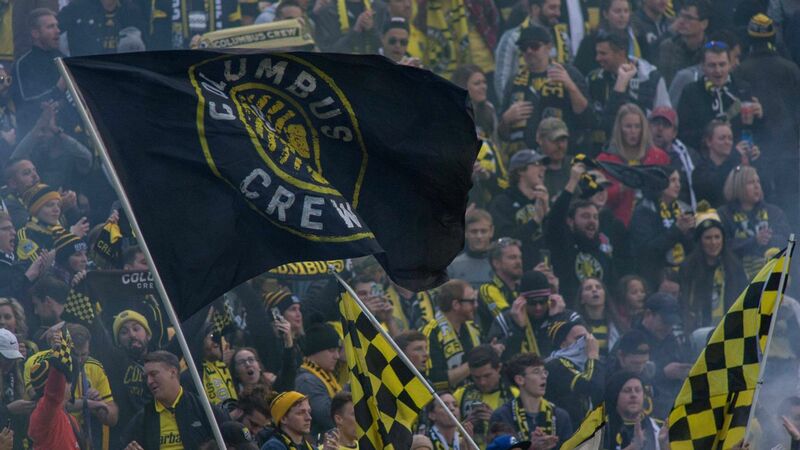 But at least some of it may have been because when the final whistle sounded at Hasely Crawford Stadium on Nov. 17, it officially marked the end of 2015 for Jurgen Klinsmann's team. This has been a long 12 months for the coach and his players, no question about it. And while it wasn't all doom and gloom, you can be sure than Klinsmann and squad are happy to put it behind them. We're looking forward to 2016, too. But before the calendar flips, let's reflect on the five biggest moments of this year. The national team's annual year-opening training camp in California is usually low on drama, but things got interesting in a hurry in 2015. U.S. Soccer scheduled a friendly in Chile just two weeks after the MLS-heavy group convened in the Los Angeles area, and after the Americans lost 3-2 to extend its winless run to five games, Klinsmann called out unnamed players for arriving to Los Angeles in what he said was less than optimal shape. 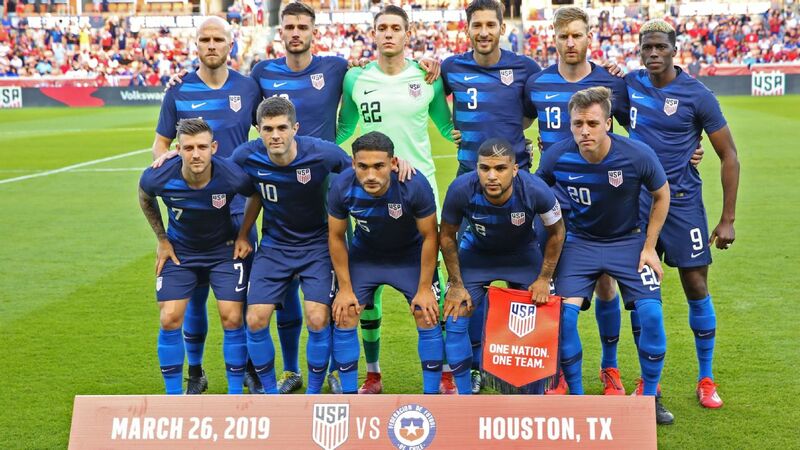 That led to a near-revolt in the locker room, multiple sources told ESPNFC, and it turned the squad's second and final match of the camp -- in early February against Panama -- into what USSF president Sunil Gulati later described as feeling like a must-win. 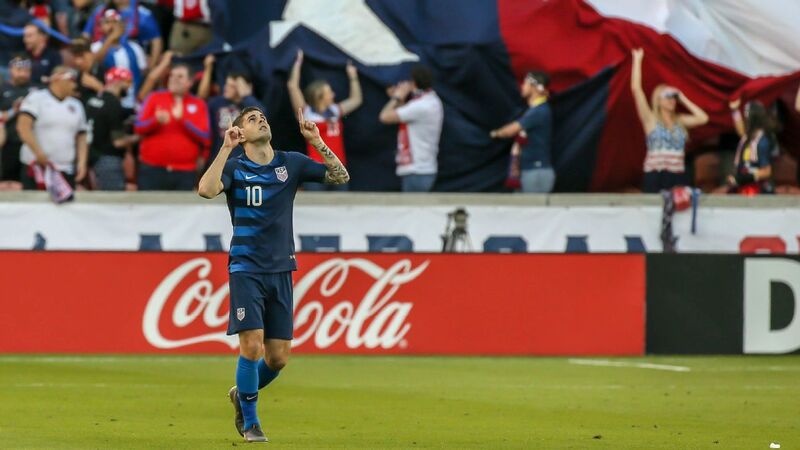 The Americans did, comfortably, on goals by veterans Michael Bradley and Clint Dempsey. 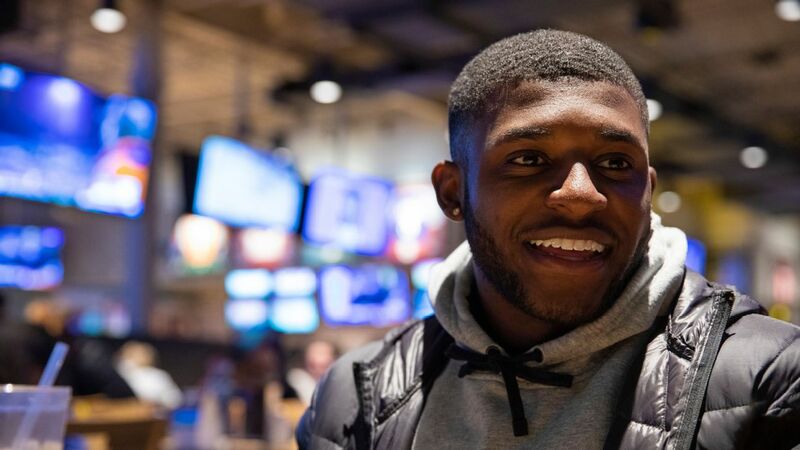 Dempsey's strike was set up by newcomer Gyasi Zardes, who would go on to lead the team with 19 appearances (along with DeAndre Yedlin), tying Claudio Reyna's two decade-old mark for a first-year player. The victory eased any lingering tension within the squad, but the early controversy proved to be a sign of things to come. 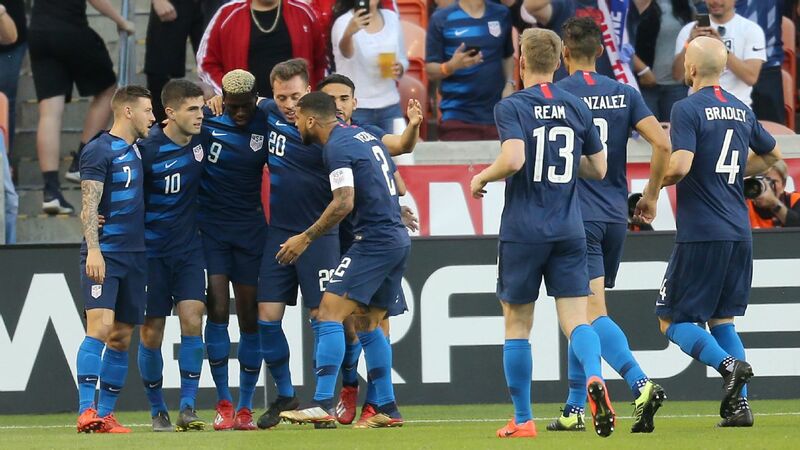 The U.S. went 1-1-1 in its next three games, beating Mexico 2-0 in San Antonio on April 15 after a loss at Denmark and a tie in Switzerland in late March. When the Americans returned to Europe in early June, they pulled off two of the most impressive results in the program's 102-year history. First, the U.S. beat the Netherlands for the first time in five tries, winning 4-3 in Amsterdam. Then Klinsmann's current team shocked his former one, as the Americans defeated world champion Germany in Cologne. Never before had the Yanks topped Die Mannschaft on its own turf. 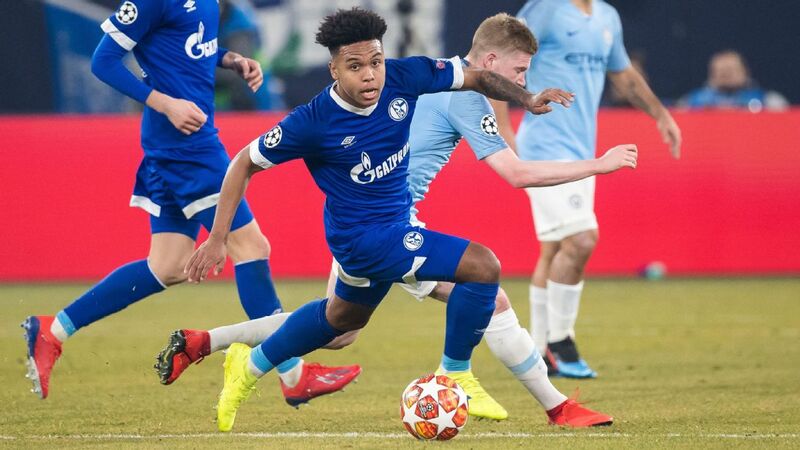 The visitors came from behind in both games (they trailed twice against the Dutch) and both unlikely wins came late, with then-22-year-old striker Bobby Wood notching the decisive goals in each match. 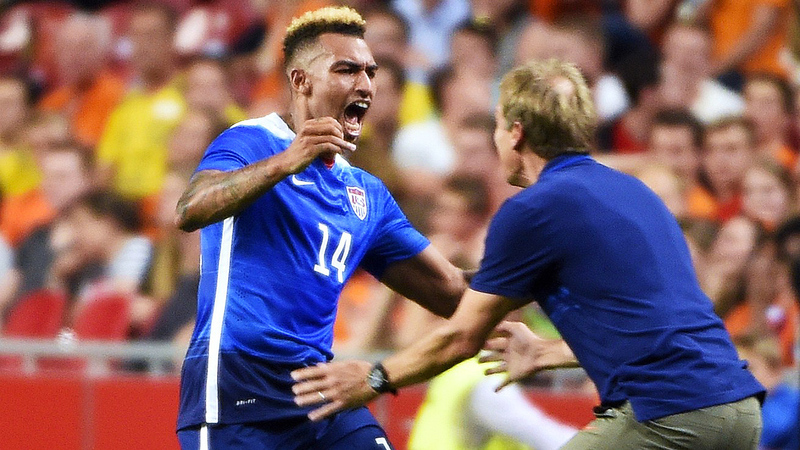 Danny Williams helped lead the U.S. upset friendly victories over the Netherlands and Germany. 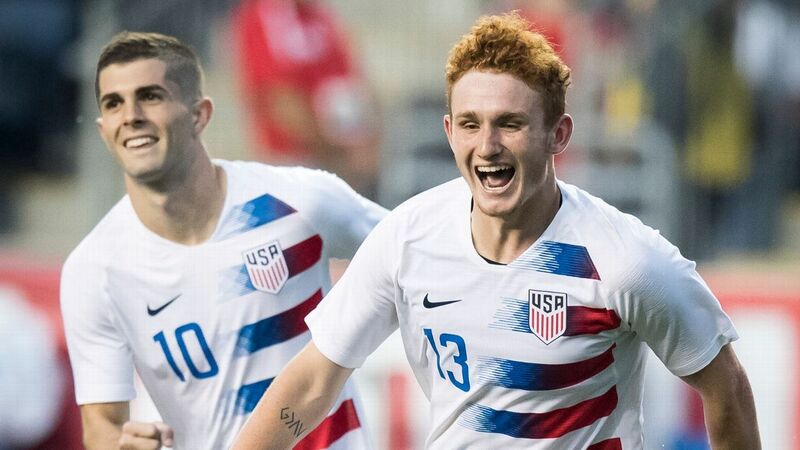 However notable, those wins came in friendlies that took place after the long European club seasons were over, and they proved to give the fans watching back home false hope about the state of the team, as the U.S. -- without Wood (club commitments) and fellow young frontrunner Jordan Morris (injury) -- went on to disappoint at the CONCACAF Gold Cup the following month. At his pre-match press conference in Trinidad, Klinsmann again brought up the Gold Cup without being asked about it, and again he suggested that calls that went against the U.S. during the July tournament were the reason for its fourth-place finish. That's not true. The U.S. was atrocious throughout the regional championship before going out to a quick, athletic, opportunistic Jamaican team in the semifinals. The hosts created the fewest chances of any team in the first round, including Canada, the only participant that didn't score a single goal. In the third place match against Panama, the Americans were outshot 25-5 overall (and 12-2 on goal). Defensively, they appeared incapable of avoiding simple breakdowns, like this one in the opener against Honduras. There were some questionable referee decisions, to be sure. But none were truly game-changing, unlike the ones that went against Panama and Costa Rica in knockout games against eventual champion Mexico. The U.S. got exactly what it deserved at the Gold Cup, a competition it was favored to win beforehand. 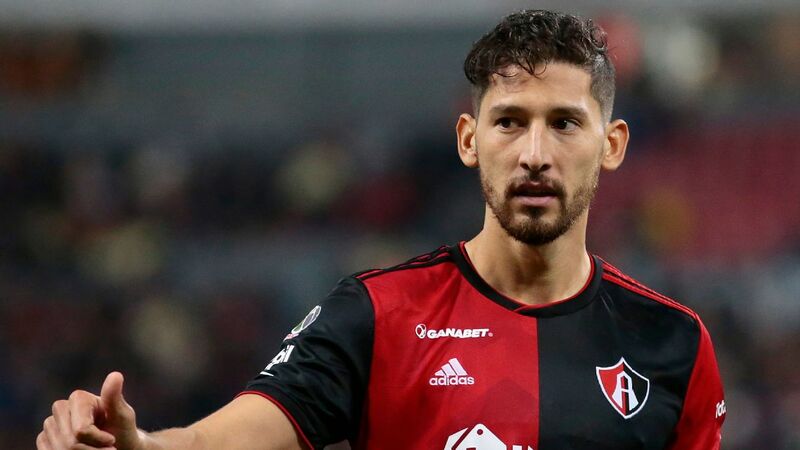 Instead, El Tri took the title, setting up an intriguing one-game playoff in October for a spot in the 2017 Confederations Cup in Russia a year before the main event. 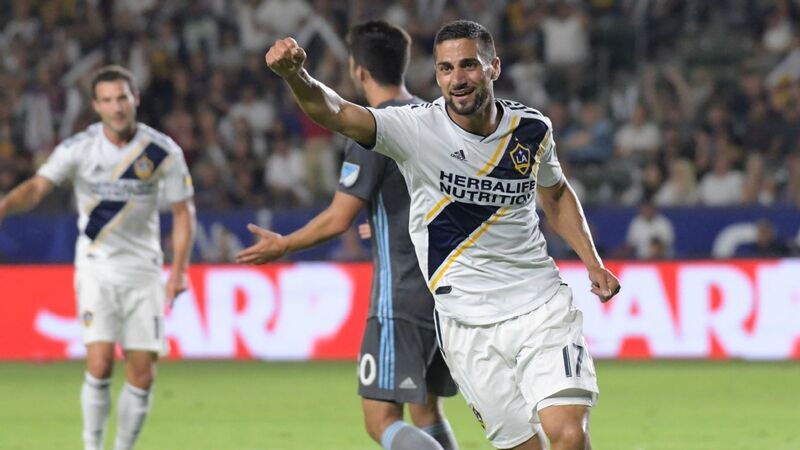 This edition of North America's Clasico was billed as the biggest since the U.S. upset its border rival in the second round of the 2002 World Cup, and it was. But while the U.S. and Mexico have mostly met on even terms this millennium, El Tri had all the momentum heading into the match at the Rose Bowl. The U.S. came in off an ugly 4-1 spanking versus Brazil a month prior and was the home team in name only, with the vast majority of the 93,723 who showed up in Pasadena wearing green. 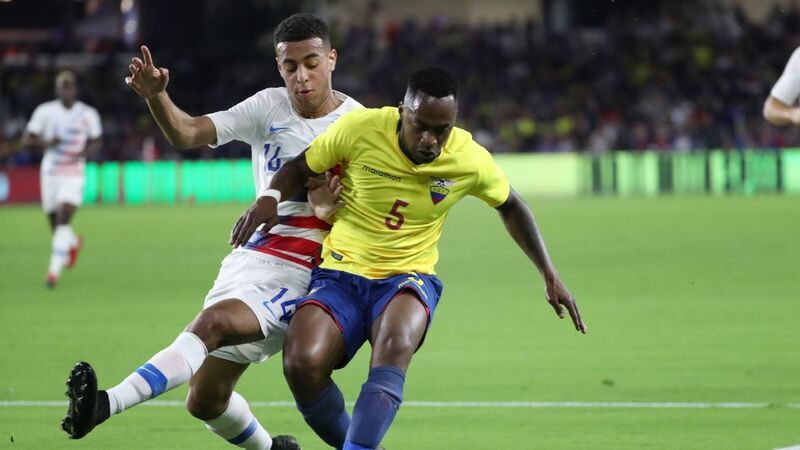 The U.S. showed plenty of its trademark fight when the game began, defending like their lives were at stake and equalizing twice before losing, 3-2, on Paul Aguilar's spectacular volley with two minutes to go in extra time. The result was a just one, however, as interim Mexico manager Ricardo "Tuca" Ferretti outcoached Klinsmann by using a three-man forward line that pinned the Americans into their own half for long stretches. Brad Guzan and the U.S. defense were under pressure all night in October's CONCACAF Cup defeat to Mexico. 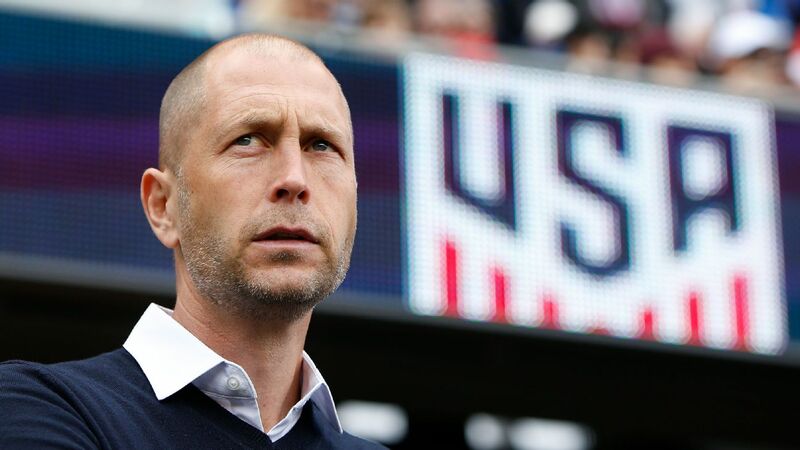 The defeat was the national team's most bitter since Klinsmann replaced Bob Bradley four years ago, and it rightly left the U.S. coach under more pressure than at any time during his tenure. The scrutiny only intensified in the days that followed, as Klinsmann sent star defender/midfielder Fabian Johnson back to his German club, Borussia Monchengladbach, and publicly chastised him for substituting himself late against Mexico. A lopsided win against tiny St. Vincent and the Grenadines and the point in Port of Spain helped the Americans end the year on an acceptable note, but there's no avoiding the fact that the Americans failed their two biggest tests of 2015. 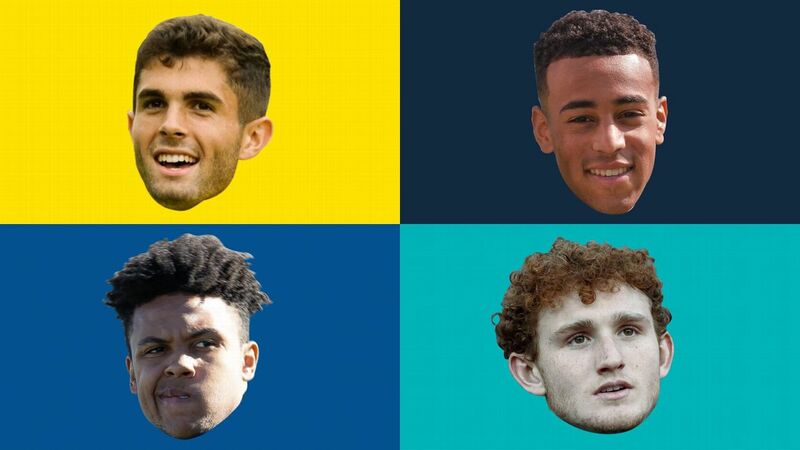 Although the Gold Cup and CONCACAF Cup losses will understandably linger in the memory, the truth is that the national team is primarily judged only at World Cups. 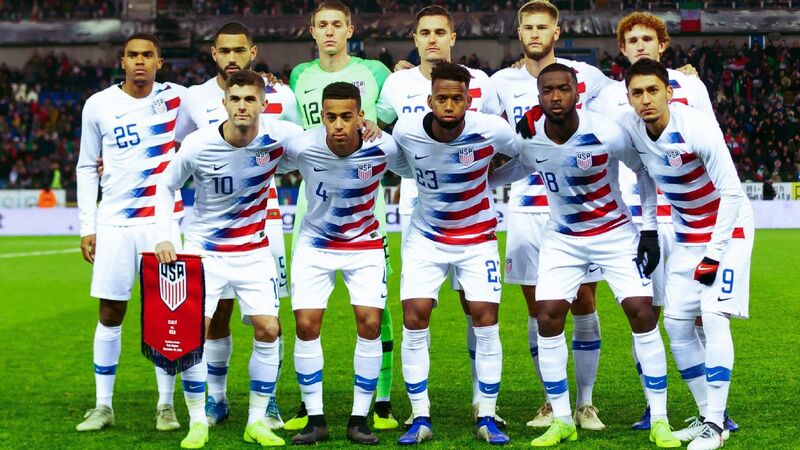 With an aging core -- World Cup vets Dempsey, Kyle Beckerman, Jermaine Jones and Tim Howard (who retuned to the squad in September after a year-long hiatus) are all 32 or older -- this was always going to be a transitional year for the national team. And there were bright spots in 2015 that bode well for the future. 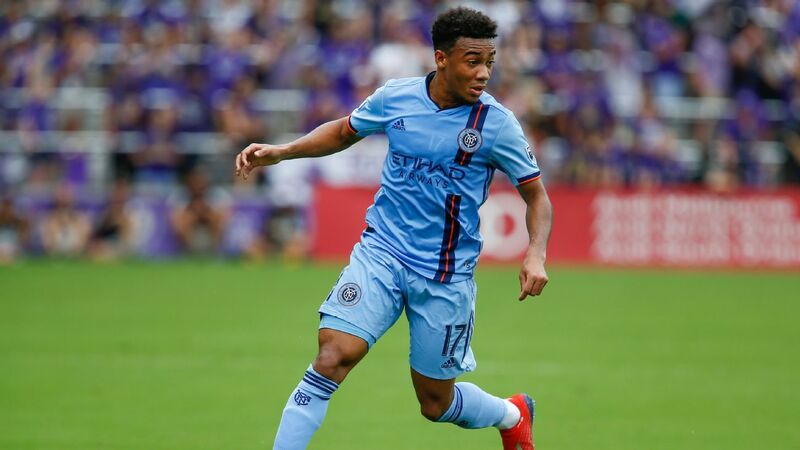 Attackers Morris, Wood and Zardes established themselves as regular contributors. 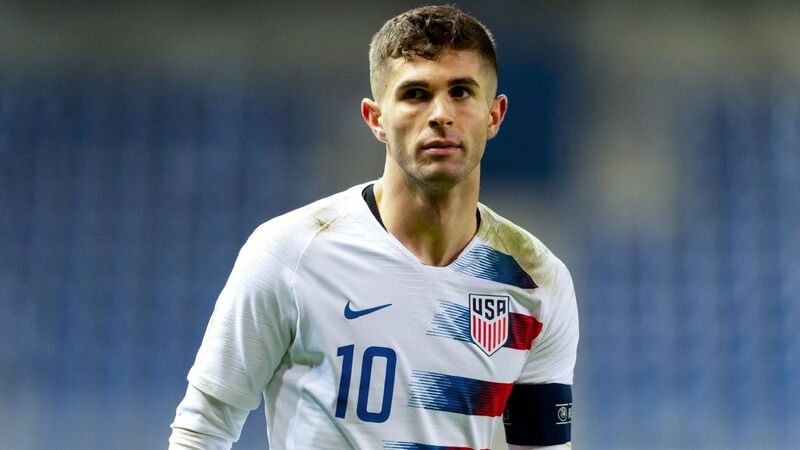 For all the talk about an impotent offense, the U.S. actually scored plenty; their average of 2.1 per game was the second-highest since the modern era began in 1990.Yedlin compiled more assists (five) by a player 22 or younger since Landon Donovan had that many in 2004. 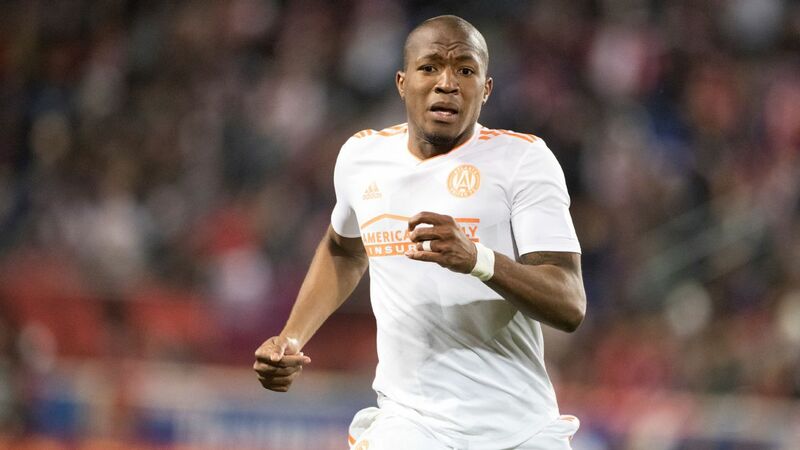 And the U.S. quietly cap-tied five dual-nationals, with Ventura Alvarado, Greg Garza, Matt Miazga, Alfredo Morales and Darlington Nagbe all appearing in a competitive match for the first time. Bank on the new generation playing an even bigger role in 2016.